Caridad was married very young to a distinguished member of the high bourgeoisie. However, she soon tired of that dull, hypocritical lifestyle and plunged into political activism. She became a charismatic leader, commanded troops during the Spanish Civil War, acted as a secret agent for France, lived in exile, experienced passionate love affairs and urged her two children to give everything for the common good. Caridad is Caridad Mercader, mother of Ramon, the murderer of Trotsky. She is a figure who has been slandered and vilified, suffering from disdain and caricature at the hands of history. 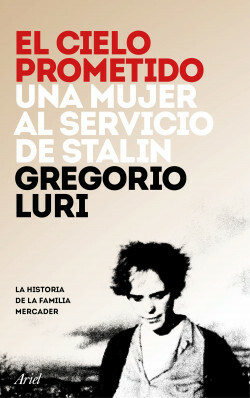 This book offers a more genuine, rounded portrait of a figure revered by some and defamed by others, a complex human character in a story so fascinating that it might seem unreal were it not for the diligent research and documentation work that Gregorio Luri has carried out for over two decades. The definitive book on the Mercader family, with never before seen information that places Caridad at the centre of a plot worthy of a top-class spy novel.